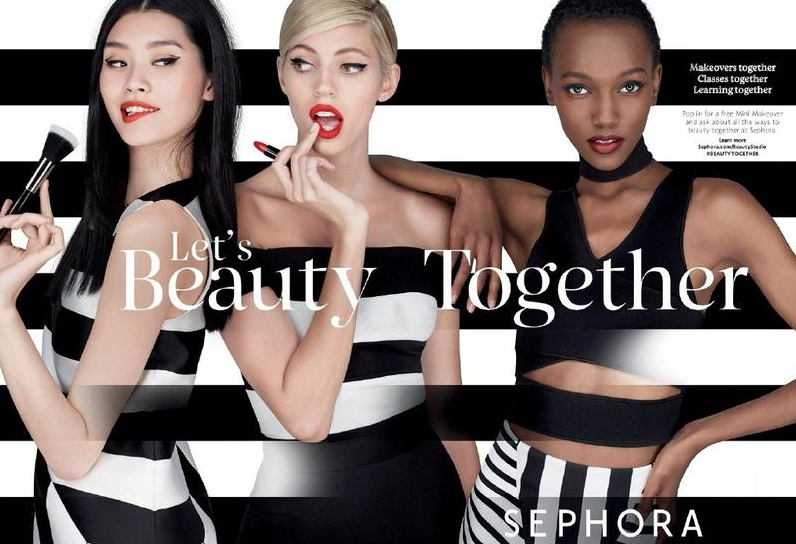 Founded in 1969 in France, Sephora counts over 2000 stores worldwide with revenues exceeding 4 billion dollars. The Champs Élysées flagship store in Paris draws in more visitors than the Eiffel Tower, with over 6 million people stopping by this beauty playground every year. Founded with the objective of revolutionizing the way beauty was sold – giving customers the freedom to try, touch, smell and explore – the Sephora brand has managed to do just what it set out to do. Their strategy has been a smashing success in helping them capture the loyalty of millennials. From a marketer’s perspective, understanding millennial consumers can be quite puzzling. On one hand, they are notoriously less brand loyal (Daymon Worldwide) than previous generations, yet on the other they have higher expectations of brands and the roles that they play. According to a report by Adriot Digital entitled Millennials: The New Age of Brand Loyalty, 52% of all respondents stated that for a brand to remain relevant, it needs to listen to consumers and be willing to make changes based on their feedback. Sephora’s success stems from their ability to tap right into what makes this segment of the population so unique. They’ve understood key traits in millennial consumers, like their strong desire to express their individuality and the wealth of information they have at their fingertips. With YouTube reviews, blogs, mailing lists, Instagram and Snapchat, millennials know what they’re going in to buy before even entering the store. They’ve carefully crafted their virtual shopping basket, browsed social media, asked friends and read the reviews. It’s safe to say that consumers are now more informed and self-expressive than ever before, which stands in stark contrast to how their mothers and grandmothers shopped at mono-brand department store counters, where customers relied on the advice of brand representatives to guide their beauty purchases. The millennials don’t relate to this model, as they’ve understood that each brand has its own claim to fame and are wary of traditional sales tactics. In fact, 55% of millennial shoppers report that a word-of-mouth recommendation is one of the most influential factors in getting them to try out a new brand, second only to price (Adriot Digital). Sephora has capitalized on this by making it its mission to push trends (contouring, bold eyebrows and matte lipsticks for example) and help each customer find the product suited to his or her needs and budget within that trend rather than pushing specific products or brands. They’ve also create a no-pressure sales environment where the employees feel more like friends who are glad to share their beauty hacks with you, and where niche, indie and big-name brands harmoniously cohabit under the same roof. Gone are the days when products could only be tried under the prying eyes of a sales associate. “Sephoraization” as beauty analysts have dubbed it has made everything more accessible, satisfying the consumers’ desire for a hands-on, full sensory experience. Sephora has also done a stellar job at understanding shifts in trends, notably by moving towards more organic and chemical-free products, steadily increasing their offering of brands that represent those values and attributes. In addition, they have embraced the ethnical and cultural diversity of the population, understanding that the “one size fits all” formula is a thing of the past. Lastly, they are vocal about promoting social development initiatives, which resonate with millennials. In fact, a staggering 38% of respondents (Adriot Digital) stated that they would move away from a brand if they found it to have unethical business practices. 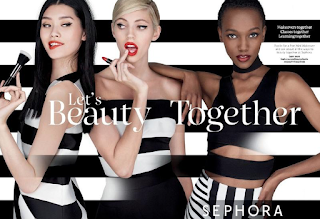 As a result of all this, Sephora has redefined what it means to be brand loyal, giving a modern twist to the concept by creating loyalty to the Sephora store experience and ethos, which embraces and even encourages mixing and matching different beauty brands to create one’s personalized beauty kit. Sephora has understood what it takes to capture the heart of millennial consumers, creating spaces where beauty lovers from all over the world can come together, transcending stereotypes and social and racial barriers.